"The Debmar model is predicated on very little upfront money for talent willing to bet on themselves. While the company does pay the traditional costs of renting a studio and producing a show, costs are amortized over 100 or so episodes." "With only a handful of hit sitcoms on the syndication market, a comedy with a proven star could be alluring to such cable networks as FX, Comedy Central, Spike TV or USA, all of which are likely to at least consider the project. (TBS and TNT, sister companies of Men producer Warner Bros. Television, are not interested.) 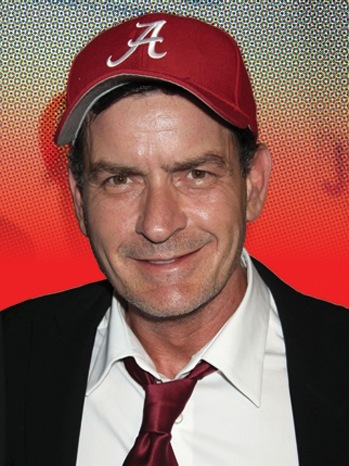 Although Sheen's show is unlikely to equal the mega-success of Men, if it lures even half of the 15 million-or-so viewers he generated on CBS, his share could be in the hundreds of millions of dollars by the second or third sales cycle." "Not that anything is a slam-dunk. Any network buyer would need to pay a premium to insure Sheen, and there's no guarantee his off-set problems won't resurface. Plus, it's still an open question whether viewers want to see him outside of the Men confines. Consider the cautionary tale of Suzanne Somers, who tried a syndicated show as her vehicle to return to TV years after quitting Three's Company in a salary dispute. Her late-'80s sitcom She's the Sheriff bombed, and her career never recovered." "Still, the Debmar model convinced Jon Feltheimer, CEO of parent Lionsgate, to try to get into business with Sheen. When he bumped into Alice in Wonderland producer Joe Roth during lunch at a Los Angeles restaurant, Feltheimer pitched the idea of a Sheen sitcom to Roth, who produced five of the actor's movies, including the hits Major League and Young Guns". I am convinced this will become more and more common as the studios demand that stars take more of the upfront risks to reap the great rewards. No more stars running to the bank on a flop. Can't help but think that's a good thing for everyone involved.